PUEBLO – A 2016 Colorado State University-Pueblo Teacher Education graduate has been named one of 10 outstanding educators in Colorado by the Jared Polis Foundation for their hard work and dedication. 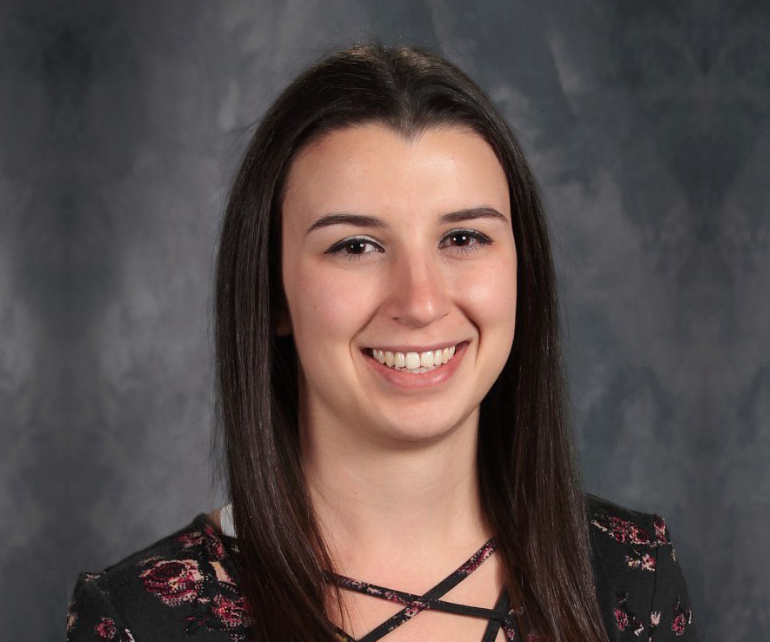 Madison Tortessi, an English/Language Arts teacher at Canon City High School, will receive a $1,000 grant to be used for her technology needs in the classroom. She also will receive an iPad and an additional $1,000 discretionary stipend to use at her disposal. She is the only teacher from Southern Colorado to be recognized. For the past 11 years through the teacher recognition awards, the Jared Polis Foundation has honored 10 Colorado K-12 teachers each year who have demonstrated highly effective, results-oriented teaching and have proven to be compassionate, caring and dedicated to all of their students. Parents, peers, principals, students, and staff members have nominated teachers throughout the years. On average, JPF receives nearly 100 nominations each year, and the committee that reviews these nominations is impressed year after year by the hard work and ingenuity of the Colorado teacher nominees. Tortessi is in her second year as an educator. Dedicated to her students, Tortessi works hard in tandem with the rest of the English/Language Arts team to ensure that the students of Canon City High School are college ready and literate for the 21st century. Tortessi is pursuing a Master of Arts in English degree at CSU-Pueblo with the goal of graduating in May 2019 and teaching Advanced Placement and honors English.